Visitors to Tallinn can enjoy some wonderful luxurious stays in a number of hotels, but there is one that offers something distinctly Alpine. The Pürovel Spa & Sport, also known as the Swissotel Tallinn, has a distinctive Swiss style and manner in everything it does, whether it’s the manner of hospitality, the decor or the facilities. With 238 superbly-decorated guest rooms, the hotel offers fabulous luxury and with this comes plenty of high-tech facilities for business travellers and holidaymakers alike. Indeed, for those who are in town on business, this is a perfect venue, with numerous well-appointed small meeting rooms with abundant facilities. It is even the easiest building to spot, being the tallest in the city. Another aspect of the hotel that stands out is the ballroom, the largest in Estonia. The food is also superb, with the Alpine-style breakfast buffet offering a huge variety of choice to get people started on their day. Of course, for many people a trip to the Alps means chilling out and relaxation in a spa – and this hotel will not disappoint. The Purovel Spa & Sport offers a wide array of treatments to help relaxation and detoxification. Whether it is hydrotherapy or hot stone massages, every need and desire will be met. It has a heated floor, sauna, steam baths and modern sports club.With three exclusive restaurants and two bars, eating will be a delight at the hotel, while those hiring a car can enjoy secure parking. Of course, for all its Alpine style, the Pürovel is situated in a superb location near the heart of the city, making it a great base from which to explore the capital. 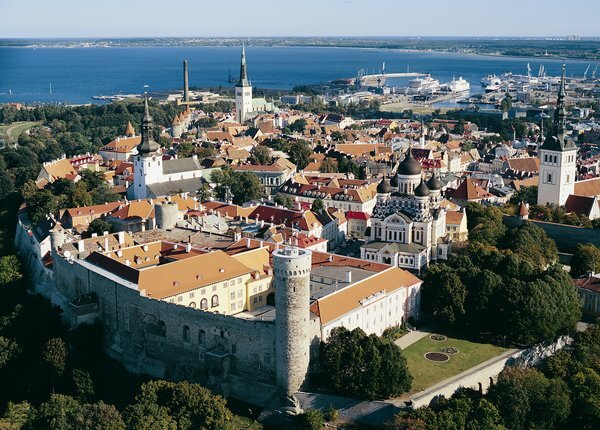 It is located just 15 minutes’ walk away from Tallin’s Old Town, a UNESCO World Heritage site with fine features like the medieval castle and cathedral, while the layout of the streets and the city walls have also largely survived the ravages of time and war. With its mixture of Swiss-style hospitality and Estonian heritage, this is a hotel offering luxury and variety at their very best.